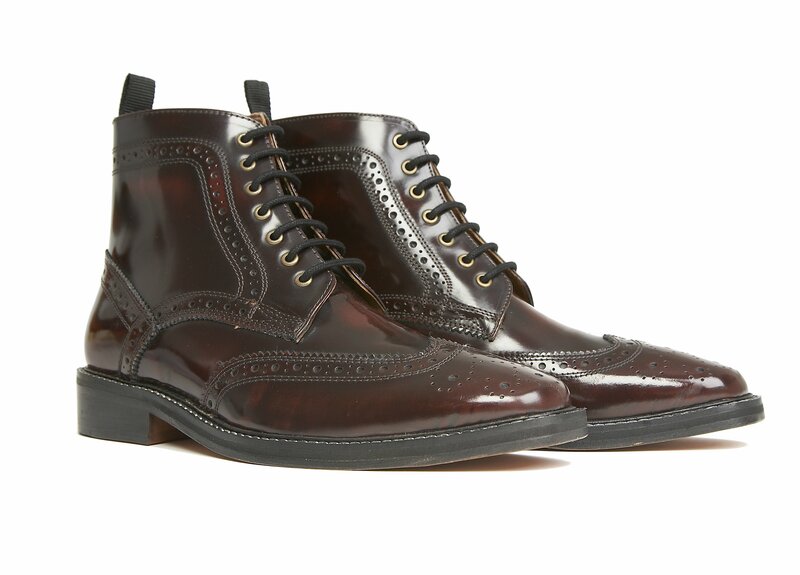 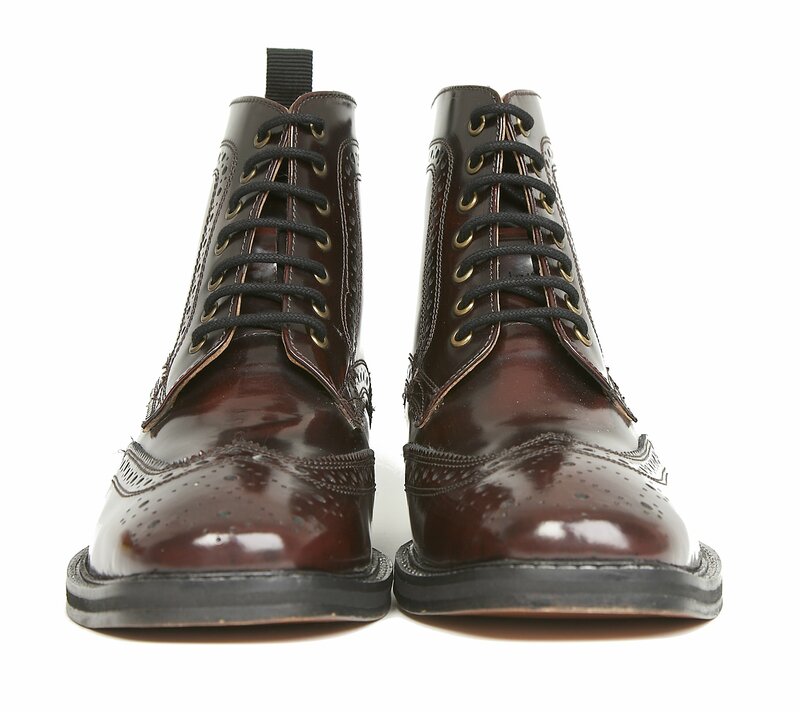 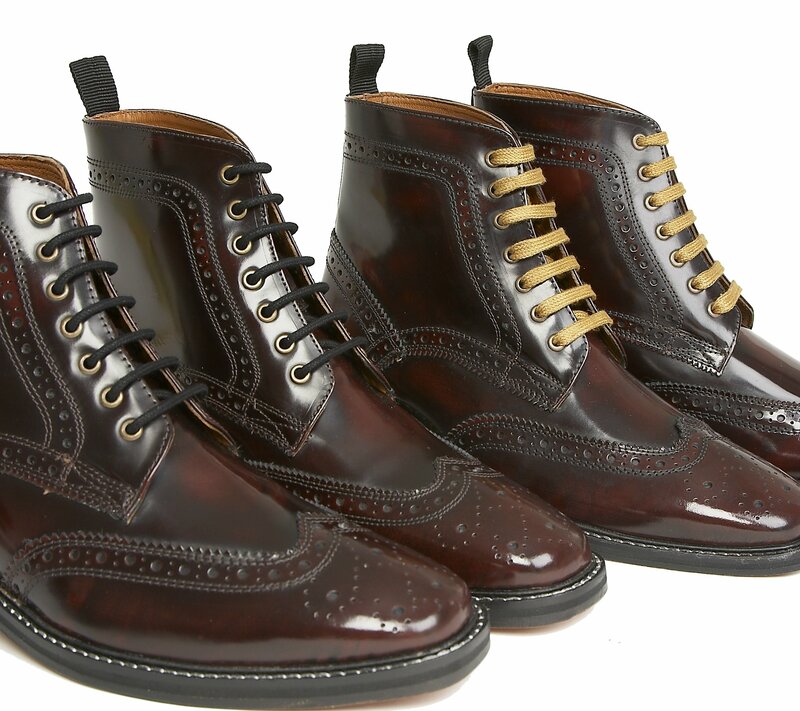 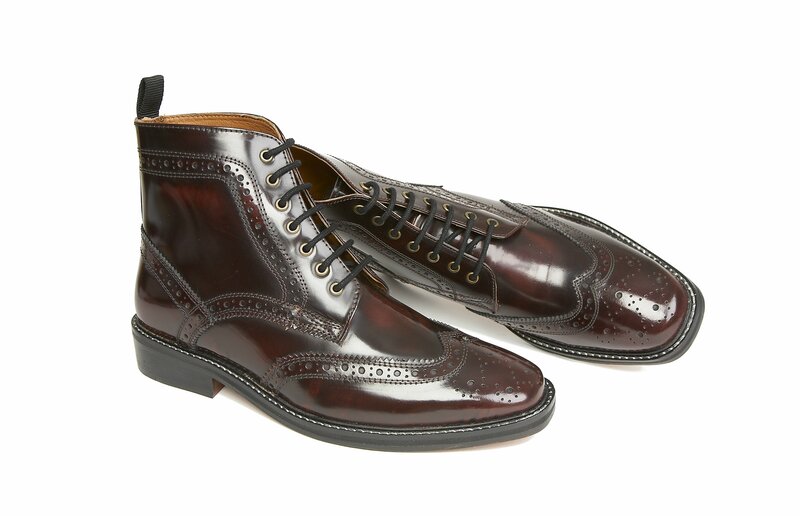 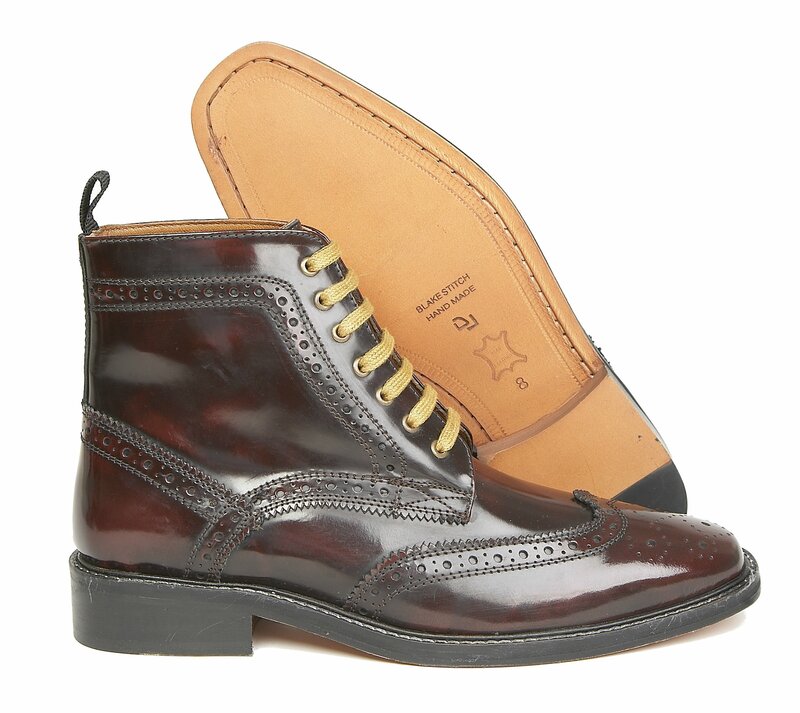 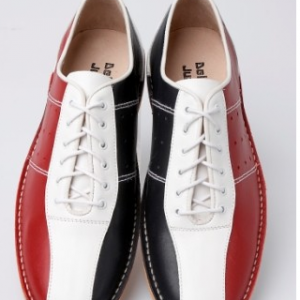 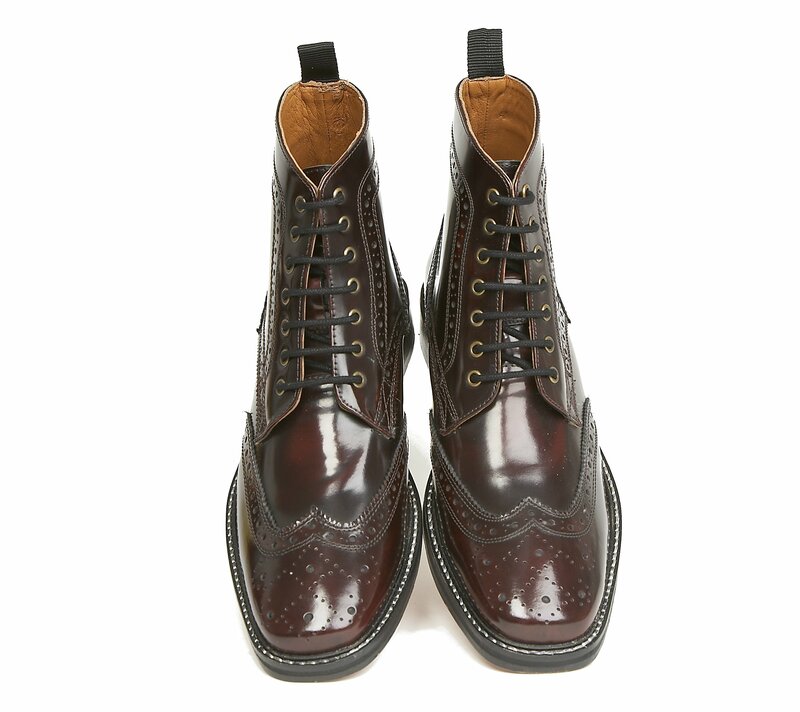 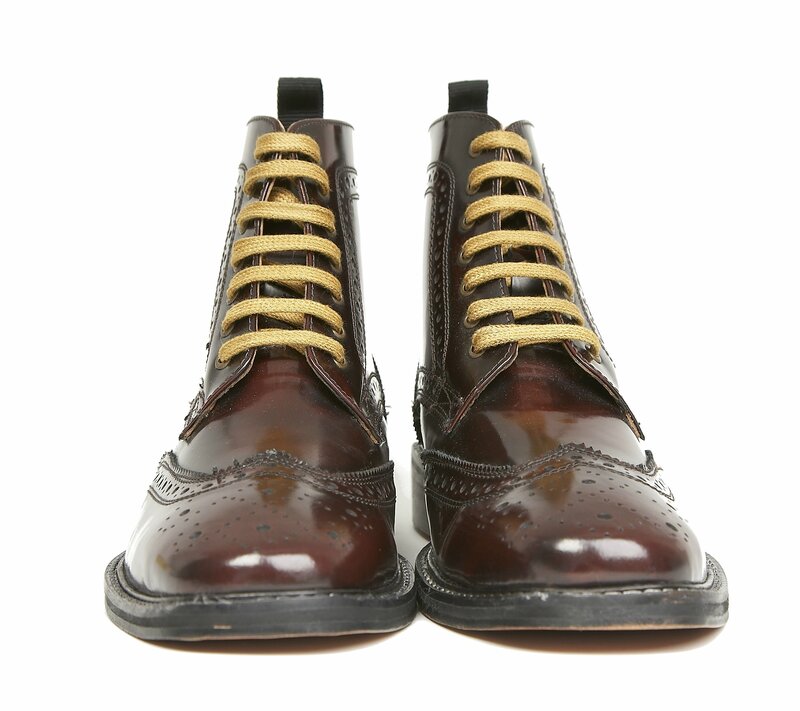 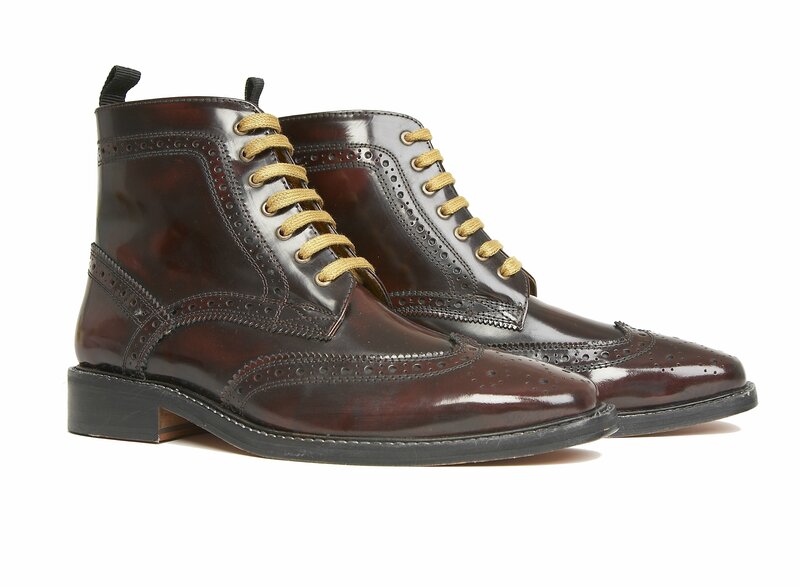 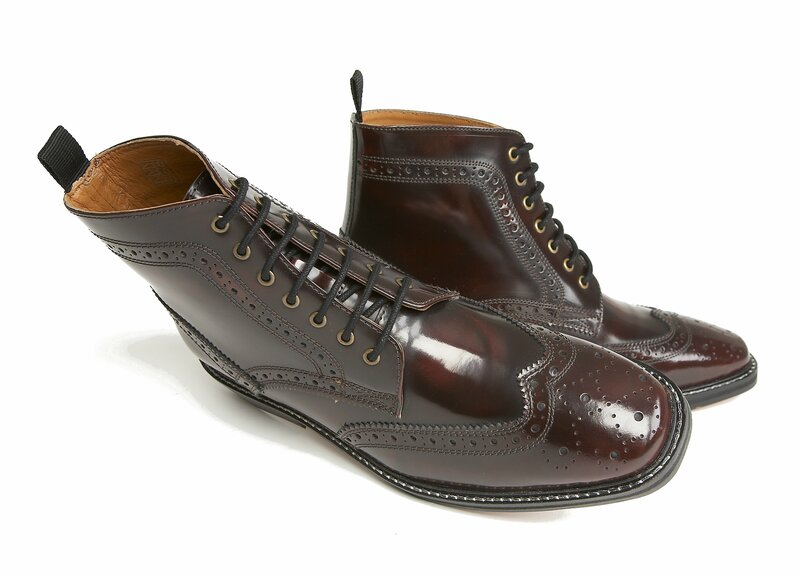 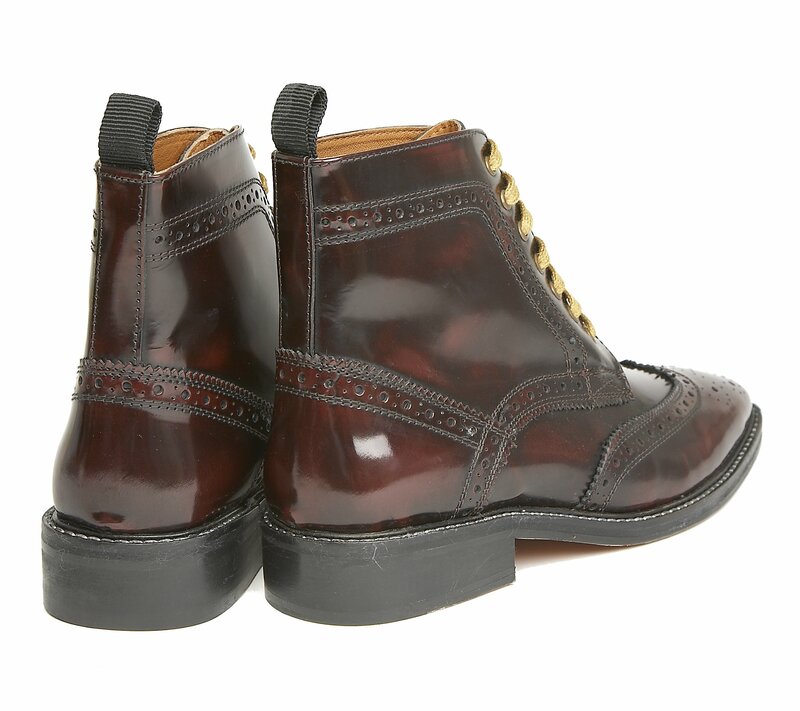 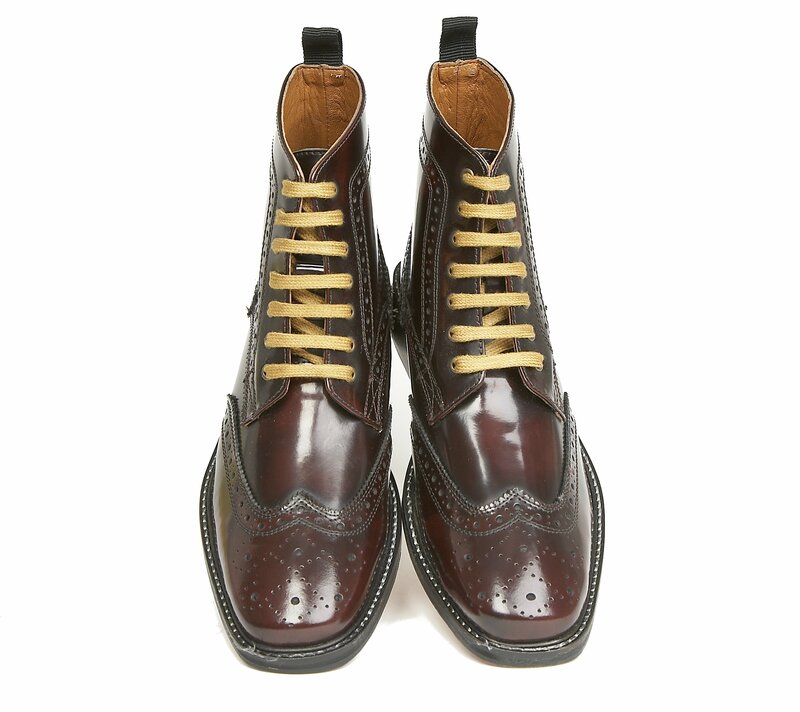 Punched brogue upper brings a traditional look to the Mod and Skinhead “Bovver” boots. 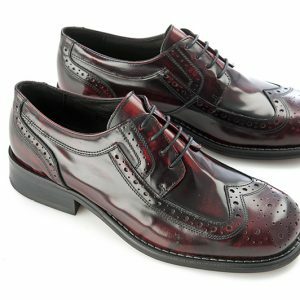 Leather linings and leather sock (textile vamp lining). 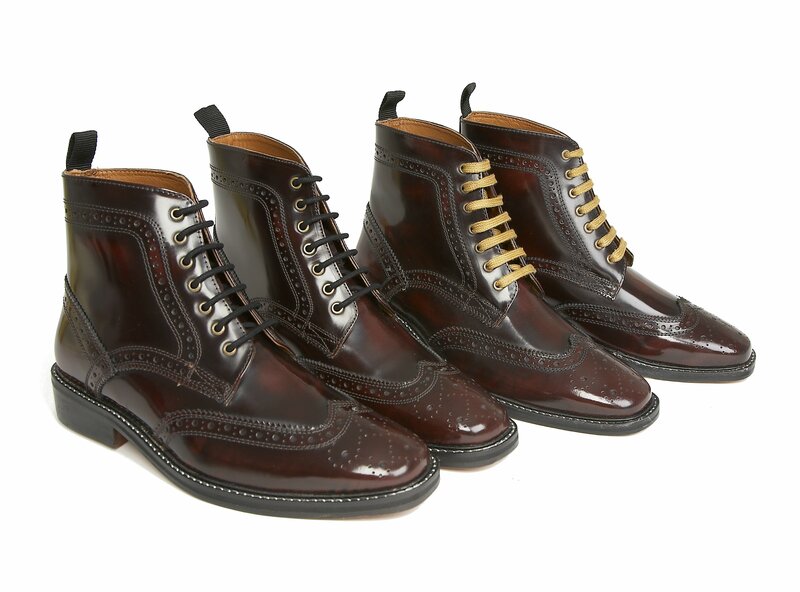 Two lace options included – choose from standard black or retro mustard.